Google enjoys creating new requirements for our websites. First they started showing preference to sites that are responsive, or mobile-friendly. Beginning this month, they’re penalizing sites that don’t have SSL connections, pushing them farther down search results and marking the sites as “Not Secure.” It’s inconvenient to keep up with Google’s demands, but there is a purpose for them – to make the web more useful and safer from hackers. SSL stands for Secure Socket Layer, which you don’t need to remember. 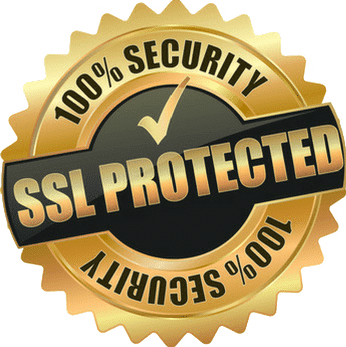 The most important thing to know about SSL is that it creates a more secure connection between the site visitor and the server hosting the website. That means it’s less likely that a hacker can intercept the connection and use your website to spread viruses or malicious information. You can tell a website has a current SSL certificate when you see the URL begins with “https://” and a lock appears in the corner of the web address bar at the top of your browser. Google’s Chrome browser also says “Secure” or “Not Secure” next to the address. The easiest solution is to purchase a SSL certificate from your website hosting provider. With some hosts, like GoDaddy, it can be around $70 a year or more, but other hosts, like Dreamhost and Hostgator, have started offering free SSL certificates to their customers. There’s a catch with the free ones – they’re fine for sites that have contact forms, but they’re not secure enough for handling credit card transactions on your site. Fortunately, many web hosts (except GoDaddy) offer lower-priced SSL certificates for sites that collect sensitive information like credit card numbers. Save 66% on the install of a SSL certificate you purchase through your web host! I’ll activate your SSL certificate for you and ensure the lock and “Secure” appear in the corner of the URL bar of your browser for every page of your site. $59 special does not include the cost of the SSL certificate. Send me a message to get started. Want to put SSL on your site? Send me a message. Through July 31, 2018, I’m offering a special rate of $59 to put a SSL certificate on your site that you purchase through your web host. If you want a free SSL certificate, I can give you a quote for installing it – sometimes they require a little more work depending on which web host you use for your site. Whether you decide to put SSL on your site now or later, Google has made it the standard for the web of the future.